Command provides a range of high performance computers suitable for digital signage. These include fan, fanless, industrial, solid state, single output and multiple output computers suitable for all types of digital signage and kiosk installations. 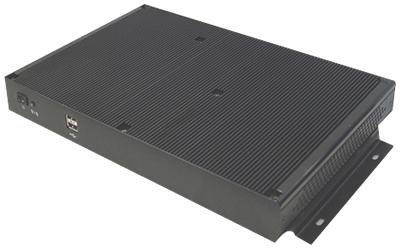 The computers are suitable for rackmount, wall mount, desktop and enclosure installation. Our mini computers are suitable for installing behind screens plus we have models suitable for installing inside your LCD displays. Our computers will work with Windows or Linux operating systems including Windows Embedded systems. Ask about our computer with Navori pre-loaded. The Navori player software is pre-loaded on specific models, allowing for rapid deployment of your systems. The options include single output, multiple output and slot-in computers.